The musical scores that back up the introduction, cut scenes, game-play and end scenes for Kingdom Hearts games are amongst the big reasons that the series is so captivating. It manages to capture the beauty, drama and darker points of the games perfectly, making them even more memorable. So impressive are they that two of the games in the series have inspired soundtrack album releases, with a compilation album released later featuring all of the games. 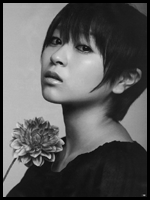 Utada Hikaru--since she started to sing the songs, fans can hardly imagine any other alternative for an artist. While a lot of the music in the background of the Disney themed levels is taken from Disney films themselves, there has also been a lot of new music scores written and performed for the games. Composer, Yoko Shimomura, is the brainchild behind the majority of these with Kaora Wada taking up the reigns of the arranger for the orchestral music of the games. The orchestral arrangements overseen by Wada were performed by the New Japan Philharmonic Orchestra and the Tokyo Philharmonic Orchestra. 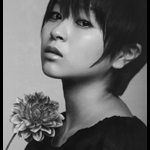 However, the two main themes from the series are inspired by songs by Japanese pop star Hikaru Utada, which were originally recorded in Japanese called Hikari and Passion. They were also adapted for English language games with the names Simple and Clean and Sanctuary. 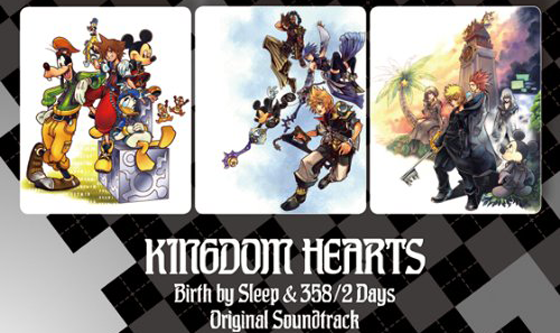 Simple and Clean featured on Kingdom Hearts, Kingdom Hearts: Chain of Memories, Kingdom Hearts Birth By Sleep for the PSP and Kingdom Hearts Re:Coded on the Nintendo DS., while Sanctuary was written and performed for Kingdom Hearts 2. Yoko Shimomura has a number of remixed KH tunes available for your listening pleasure. Sadly, the albums were released predominantly in Japan, so they are incredibly rare and expensive. The first focused on the music of Kingdom Hearts and the second on Kingdom Hearts 2, with the compilation album mixing the two. 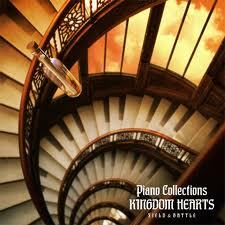 Tracks on the Kingdom Hearts Soundtrack include Simple and Clean, Dearly Beloved, Arabian Dream and End of the World. Tracks on Kingdom Hearts II Soundtrack include Passion, Magical Mystery, Dance of the Daring and Floating in Bliss. This guest post was written by Tuppence Magazine, dedicated to bringing the best entertainment news and album reviews to the web.